The Uniform Guidance issued by the U.S. Office of Management & Budget includes certain changes to procurement guidelines. These changes have many not-for-profit organizations and government contractors reviewing their policies to ensure future compliance. Following their webinar, Partners Gil Bernhard, Jim LaCroix and Manager Jeff Carpenter are actively sharing key elements to preparing for the changes and handling the OMB’s procurement claw. An entity must document if it complies with the old or new standards – which are effective for the start of 2018 fiscal year (i.e. December year-ends as of January 1, 2018, and will be effective for June fiscal year-ends effective July 1, 2018) – while meeting the documentation standards. Entities must develop and document procurement policies. Entities must maintain written standards of conduct covering conflicts of interest. Micro Purchases do not require competitive quotations if the organization has found a reasonable price offer. The level for micro-purchases is $3,500. Small Purchases that do not cost more than the Simplified Acquisition Threshold of $150,000. These bids do not have to be solicited, but the price must be reasonable and competition must be fair. If small purchase procedures are used, price or rate quotations must be obtained from an adequate number of qualified sources. Sealed bids that are publicly solicited and, within reason, selected for the lowest price. This is the preferred method for construction but may be utilized for other services as well. Competitive proposals where price is a consideration but other factors may ultimately lead to a decision. A company’s reputation and experience in providing similar work are examples of other factors that may lead to one supplier being selected over another. 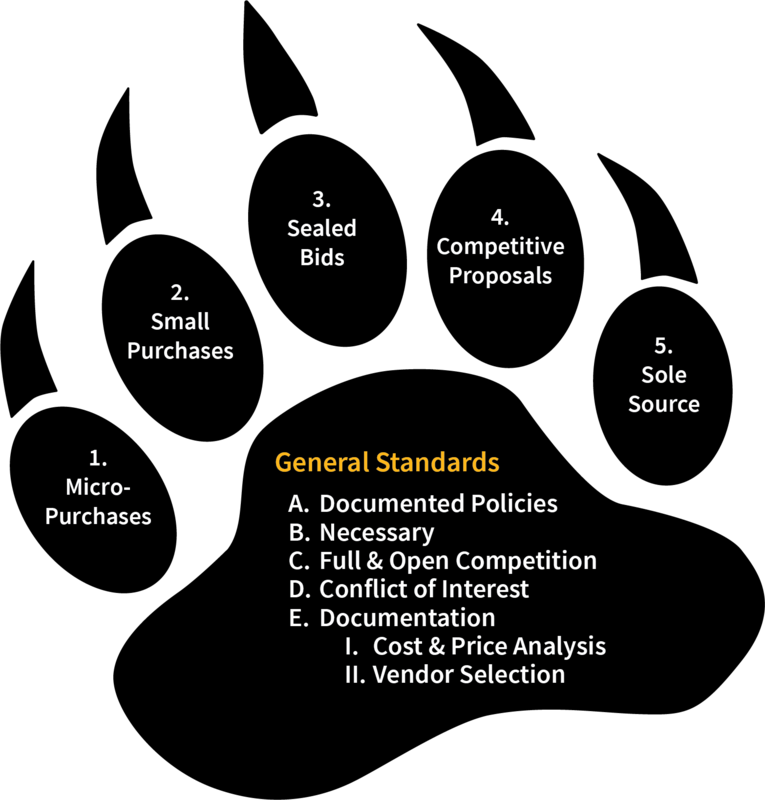 Sole source or procurement by non-competitive proposal. In this case, a single entity is solicited for their services. It is important to remember that sole source should ONLY be used when there are no other viable companies able to provide the needed goods or service. You can also listen to Jim, Jeff, and Gil delve further into the new guidelines in their webinar, How Uniform Guidance Changes to Procurement Policies and Procedures Affect FQHCs.